‘Guanxi’ is a concept in Chinese culture that’s hard to translate. ‘Connections’ and ‘relationships’ just about scratch the surface of what it means: there is an emphasis on implicit mutual obligations, reciprocity, and trust. The concept has roots in Confucianist philosophy, and remains a central idea in Chinese society today. Total War: Three Kingdoms will reflect this in what sounds like the deepest character system in the series to date. Characters will have personality traits and social connections, all of which will affect their value to you as a leader, and their happiness within your faction. 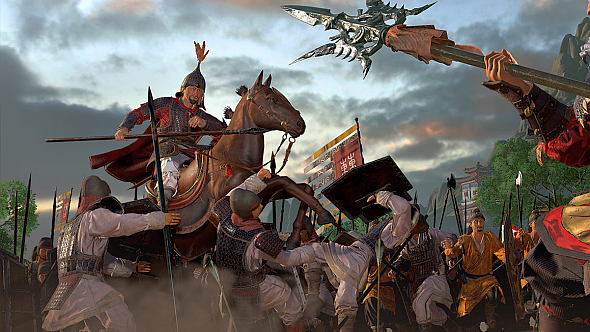 Total War has provided many entrants on our list of the best strategy games on PC. That’s according to lead designer Simon Mann and game director Janos Gaspar, who were speaking with PCGamesN at E3 earlier today. 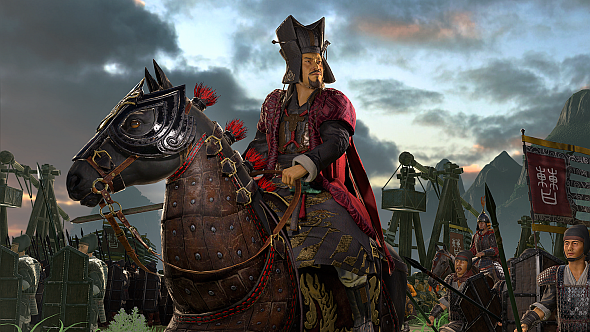 Mann cites the example of the great strategist Cao Cao, who has taken a leading role in the game’s marketing so far. “According to guanxi there are multiple facets of a relationship,” Gaspar says. “You have the feminine relationship, you have the brotherly friendship, you have the master and subject – that is more administrative, it’s how you place yourself in the world – you have enemies, people you don’t like. “And this is all happening dynamically,” Mann adds. “People are making friends and rivalries throughout the campaign as it’s going on. There are some people who will just never get along -LüBu and Xiahou Dun, for instance, they’re not really friends at any point.” That’s understandable -Xiahou Dun lost his left eye in battle against LüBu, though he reportedly styled it out by pulling out the arrow that had hit his socket and eating the eyeball off it, like a kebab. To get a sense of how complex these interpersonal relationships can become, Creative Assembly tells us that there will be “11 iconic warlords” in the finished game, each with their own playable faction – Cao Cao, Liu Bei, and Sun Jian have been announced so far. Beneath them will be at least two lesser tiers of character, Heroes and Generals, each of which will presumably tie into the complex social web of guanxi. You can wishlist Three Kingdoms on Steam. Three Kingdoms was recently delayed out of autumn this year and is now due to release in spring 2019.